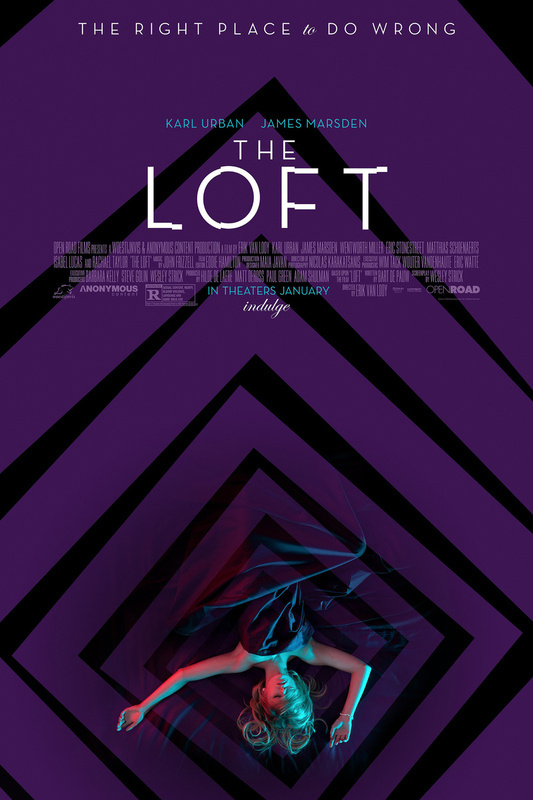 The Loft DVD and Blu-ray release date was set for May 26, 2015. Five married men rent an apartment in the city to hide their affairs and their sexual experimentation from their wives at home. Then one of them finds a dead woman in the apartment and no one will admit to being the guilty party. As the suspicions mount, the men turn on one another in the search to find the killer. Meanwhile, their work and home lives begin to suffer from the stress of their secrets.